On 24 June 2013, the Council of Foreign Affairs Ministers of the EU adopted in Luxembourg the EU Guidelines on the promotion and protection of freedom of religion or belief. Whilst proclaiming EU’s impartiality towards religion or belief, these Guidelines aim at helping the EU to promote freedom of religion and belief in third countries and address violations of this right abroad in a coherent and effective manner. The EHF was closely involved in their elaboration and was consulted several times by the European External Action Service in the drafting process. We ensured that the Guidelines had a secular and balanced approach. that that the state may provide education about religion or belief so long as it conforms to the OSCE Toledo principles, although even so some provision may need to be made for opting out; there is no obligation on the state to provide finance to enable parents to educate their children in their own religion or belief (but if they do, then as stated they must do it on a non-discriminatory basis). The initial proposal presented by the European Commission to the European Parliament (EP) achieved a good balance between the need to defend freedom of religion and beliefs and the need to defend other fundamental rights (e.g. freedom of expression and equality). Nonetheless, the report presented by the rapporteur MEP Laima Andrikiené (EPP) to the whole European Parliament on 29 May 2013 was very conservative and had a clear religious tone. The report mentioned that: “(f) the liberty of parents and guardians to ensure religious and moral education cannot be restricted.” And that “(j) the rights of parents to educate their children according to their religious or non-religious convictions includes their right to deny any undue interference by state or non-state actors in their education opposed to their religious or non-religious convictions”. This paragraph ignored the emerging autonomy of the child (Art. 14 of the UN Convention on the Rights of the Child), his/her right to receive pluralistic ideas and information (Art. 13 CRC) and it could have allowed some parents to refuse science, sport or sexuality classes for their children in the name of their religious beliefs. It could also have been used to bar any objective, fact-based education about religion. This paragraph was highly dangerous since the right to conscientious objection was not limited at all here. One of the direct consequences could have been a restricted access to health and reproductive services like contraception and abortion. The final European Parliament’s recommendation on these Guidelines (adopted 13 June 2013) rejected the paragraph on conscientious objection, thanks to a mobilisation of progressive MEP, but kept the part on education intact. The EHF therefore contacted several national delegations to the Council to explain the potential consequences of a unrestricted liberty of parents to educate their children according to their religious and non-religious beliefs. 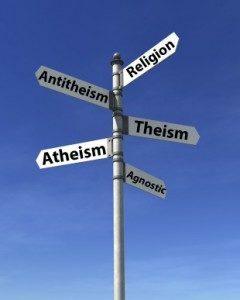 The rights of people holding non-theistic and atheistic beliefs will be equally protected by the EU as well as the right to change or abandon one’s religion or belief. The EU will also oppose any religious justification to restrictions on other fundamental rights and to violence against women, children, members of religious minorities and persons on the basis of their sexual orientation and gender identity. On the right to conscientious objection, the EHF was satisfied that the EU chose to restrict it to military service and did not extend it to health services like abortion or contraception. Regarding freedom of expression, the EU reaffirms the right to criticize or mock religion or belief, while promoting respect and tolerance. The EU thus commits to protect individuals’ rights and not religion or belief as such. This implies that the EU will explicitly recommend the decriminalization of blasphemy offences in third countries. However, the EHF regreted that the EU did not recommend it within its own borders. Blasphemy laws are still in place in a minority of EU Member States and ‘religious insult’ is still an offence in a large number of Member States.